Zoho Books is a smart accounting system designed for growing businesses. It is also the holder of our Great User Experience and Useful Free Trial Awards for 2017. Zoho Books streamlines all essential accounting tasks, and organizes all types of transactions on the same platform. With this system, you will always keep in line with the outstanding bills and invoices of your company, control your expenses to save money, and eliminate compliance worries. 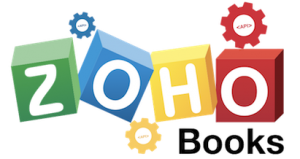 The distinctive advantage of Zoho Books is how it eliminates data entry, and allows you to import all bank and credit card transactions, and categorize those according to your bank’s rules. This possibility doesn’t only save time, but makes sure you’re working safely, and in line with all compliance standards. eVanik OWS has an end to end integration with Zoho Books through an API. This means that all e-commerce transactions will flow from eVanik to Zoho Books in a seamless manner.